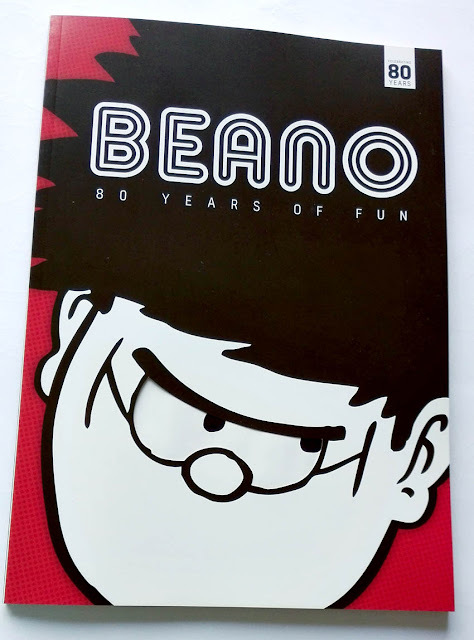 An unexpected arrival in WH Smith today was Beano: 80 Years of Fun, a 100 page bookazine celebrating 80 decades of the UK's longest-running comic. 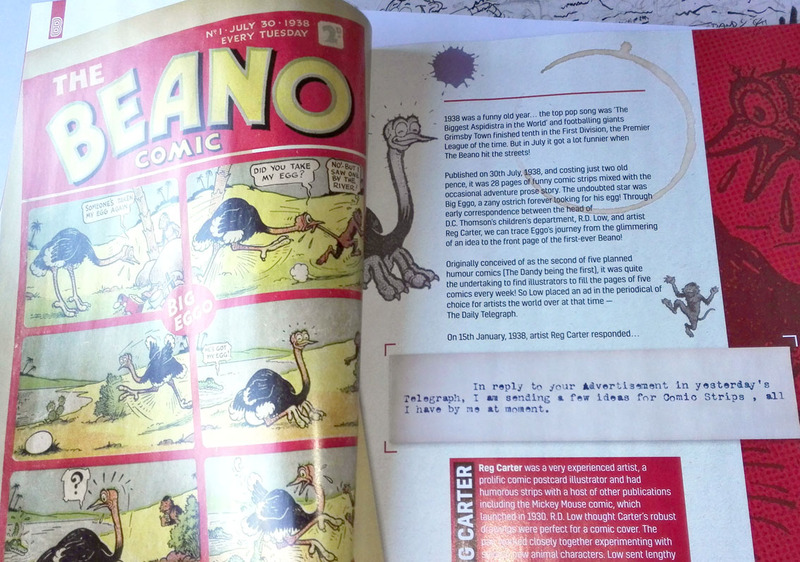 Unlike more lightweight writings about comics, this is a proper magazine about the history of the Beano, with anecdotes and images proving proper information for readers young and old. The old policy of D.C. Thomson to cloak their artists and editors in secrecy is forgotten, with pages dedicated to background information on all the people to have edited the comic, and spotlight features on some of their top artists. It's nice that James Hansen is included, although tinged with sadness as he passed away just before this magazine was published. As John Anderson's editorial informs us, this special focuses on eight issues of the Beano from across the years "to help us understand the wider socio-political landscape and cultural trends of the times". Peanut, the caricatured black boy who was the comic's original mascot, has been erased from history, with covers altered to make it look like he never existed. That will no doubt annoy some collectors, but in the current political climate of growing right-wing extremism perhaps it's for the best to avoid such outdated gross imagery. 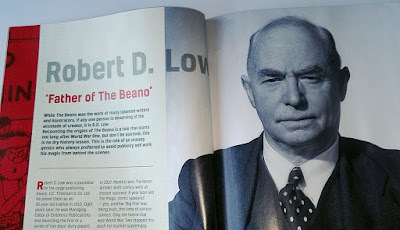 There are some excellent rare items in this bookazine, including correspondence between editor R.D. Low and artist Reg Carter on the creation and development of Big Eggo! Being the current artist on the strip, I found this particularly fascinating. Priced at just £6.99, Beano: 80 Years of Fun is well worth buying, and a worthy addition to the history of comics. This is a very good bookazine / magazine. I had a quick scan through whilst in WHSmith. I did not buy it, but only because I'm probably going to get the Beano 80 Years of Fun Box Set which includes this, for my Birthday in August. Thanks for the heads-up, will see if I can grab that tomorrow. Correction: You said 80 decades when you mean either 8 decades or 80 years. I was so interested in this, then when I read it was edited my interest was gone. I understand the sensitive nature of old material, but I would rather they didn't publish it than do it with air brushing out history. When Disney released archive films on dvd a few years ago they left it all untouched but had a film historian explain the sensitive content and how things now are more progressive. To me, all the facts are there in that method. We seem to judge people from the past harshly and do not take into account the time they lived in. I am a big believer that if we just look at what we what and ignore what we find uncomfortable then sadly the future is very grim. I get that everyone is hyper offended these days, it is a sign of times that future people will shake their heads at in disbelief I hope. But, we cannot pick and choose censorship so suit ourselves. Either censor everything or don't. No, I will give this a miss until we can look at the past, face our flaws and hope we can keep moving forward. I dread a sanitized future, but the climate of today seems determined to silence instead of discuss. At least that is what I think! Am just off to my local WHSmiths to see if they have a copy (along with The Dandy Summer Special). Thanks for the heads up Lew. Given now that Rebellion are publishing vintage material and the Ken Reid powerpack is attracting interest, DC might open their archives. The current climate is actually one of left wing extremism. You can bet that if Peanut was included that the Antfia types would howl cries of racism and cultural imperialism and demand that the bookazine be removed from the shelfs. There would no doubt be some complaints from some people, Eodred, but it's not wrong to be sensitive to the feelings of others. If the mag was totally aimed at adults, the argument for keeping it "as was" would be valid, I think, but for an all-ages readership it's perhaps best to show some discretion and responsibility. The absence of Peanut isn't going to spoil anyone's enjoyment of the stories or historical anecdotes. He was just a character next to the logo. It's not like he's been edited out of any strips. Not to stray too far from Lew's original post but... i am hopeful that Eodred is much more worried and offended by Neo-Nazi gatherings in the USA and a President and Cabinet who advise "they are good people." If there were only two choices I'd rather live with folks who insist I not offend persons than live with folks who would exterminate you for your ethnicity and such things beyond ones control. Hi Lew, I see below where you do Lord Snooty for the Beano?! Just curious if as a creator you feel a "different " responsibility, or perhaps "pressure " with a famous legacy character than say a newly-created one? I've never been in the "creativity " business and am simply curious about your job and aspects of it. Lord Snooty and his Pals was always ! a favorite of mine when we finally got our gift of the Annuals from Scotland in our Christmas stockings in the USA! Do you ever come to the USA and do conventions like Comic Con or c2e2 in Chicago? Hi Charlie, I've never been to the USA unfortunately. I was invited by an editor to do San Diego Comic Con one year but I couldn't make it. As for pressure on working on classic characters; no, not really. I just try my best, as I would on new ones, and hope they turn out ok. I'm allowed to do the characters in my own style anyway, as long as they're recognisable. 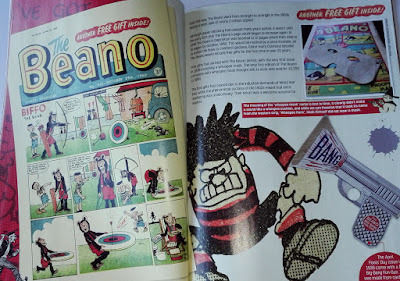 Thing is, for the majority of the Beano's Young readership, all characters are "new" to their eyes, so I suppose that helps relieve any pressure. Bought this yesterday, looks a ton of fun, I was about to say there doesn't seem much from "my era" (early 90s) but then I think everyone might say that as it's such a wide ranging tome. Didn't realise there was going to be a box set as well, that does look brill too so might have to double dip here. Also, my local (Romford) Asda seems to have stopped stocking The Beano because they haven't had the last two issues. Mind you, after Lew mentioning recently that the publishers have to pay for shelf-space, I was going to suggest that DC Thompson ask for their money back : lately, The Beano has been shoved right at the back of the lowest level of the rack, under a shelf, so you could only find it by kneeling down with a torch... and that was if My Little Pony wasn't obscuring it! This looks lovely! Thanks for the heads up Andrew about the box set too, had a look at it on their site and it was just too tempting to not order it. Looking forward to that some time this month. GOOF! Brand new comic out this Saturday! The Power Pack of Ken Reid reaches 100% funding! 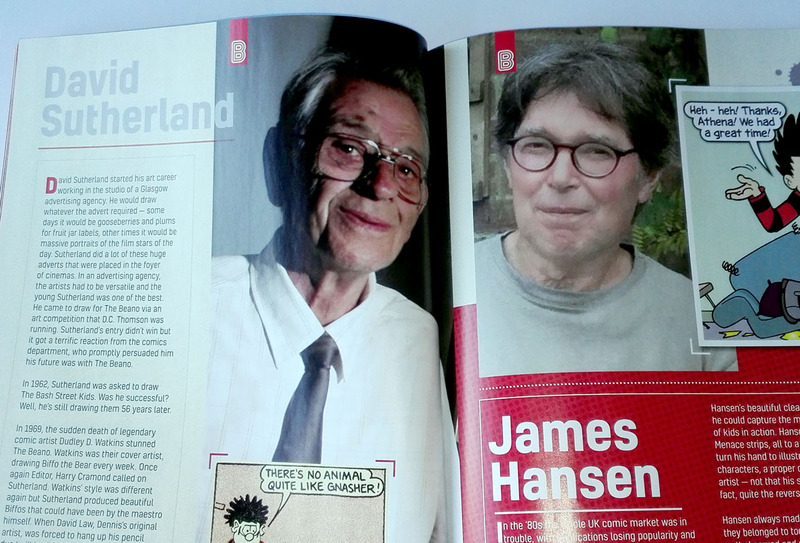 Come and meet the Beano artists!